The world's first hotel which would have it's very own rainforest, an artificial beach, splash pool and trees that spray mist, is scheduled to open in Dubai in 2018. 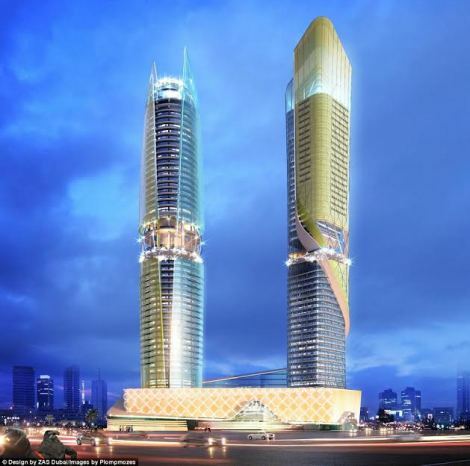 With a reported build cost of £230million, the Rosemont Hotel & Residences is a five-star hotel and apartment project. Hotel Managaers - Hilton brand Curio offered a glimpse into what the 75,000-square foot, man-made jungle will look like when it opens to visitors. 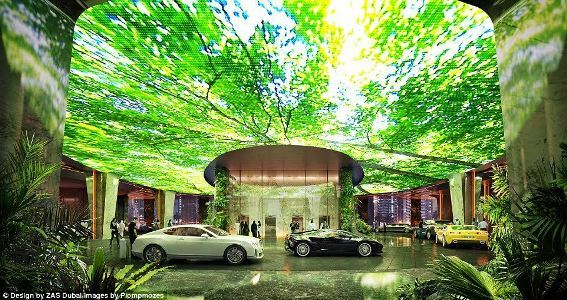 It will be located inside a five-storey podium at the base of two 47-storey towers, and filled with exotic plants. 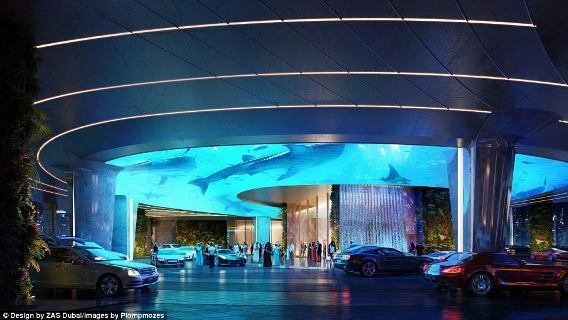 The hotel will have 450 guest rooms and suites in a tower that will also have a lobby on the 26th floor, an upper-floor pool that extends over the edge of the building, fine dining, VIP lounge, spa and meeting rooms. 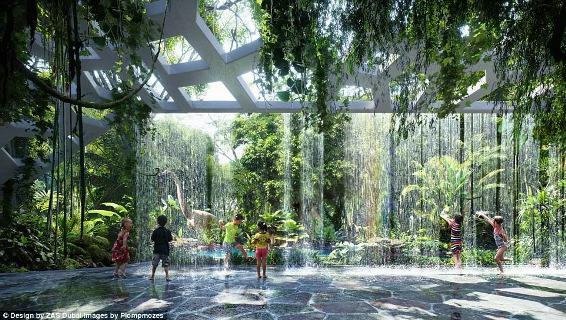 Other family-friendly amenities include an adventure play area for children, a bowling alley and trampoline park.